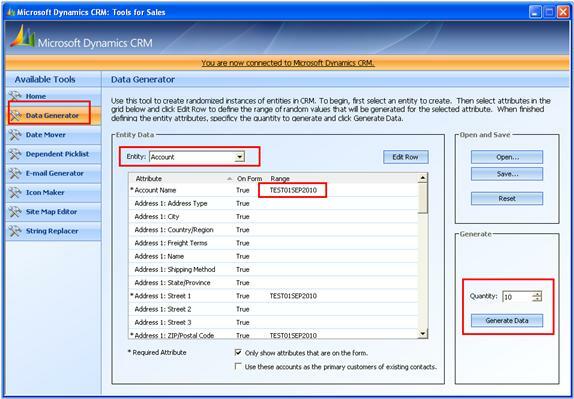 Just came across requirement where we needed to generate lots of data in CRM system..
Microsoft Dynamics CRM Demonstration Tools (for Microsoft Dynamics CRM 4.0) provides lots of functionality and one of them is Generate Bulk Data for any CRM entity with just few clicks…see below steps for the same.. This article provides details on how to connect your CRM server on CRM Demo tools. Step 3: Select quantity and hit generate data button and this will generate this button. 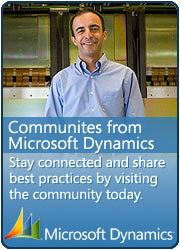 This entry was posted in CRM 4.0, Tips & Tricks and tagged Dynamics, Tips & Tricks, Tools on September 4, 2010 by mayankp.